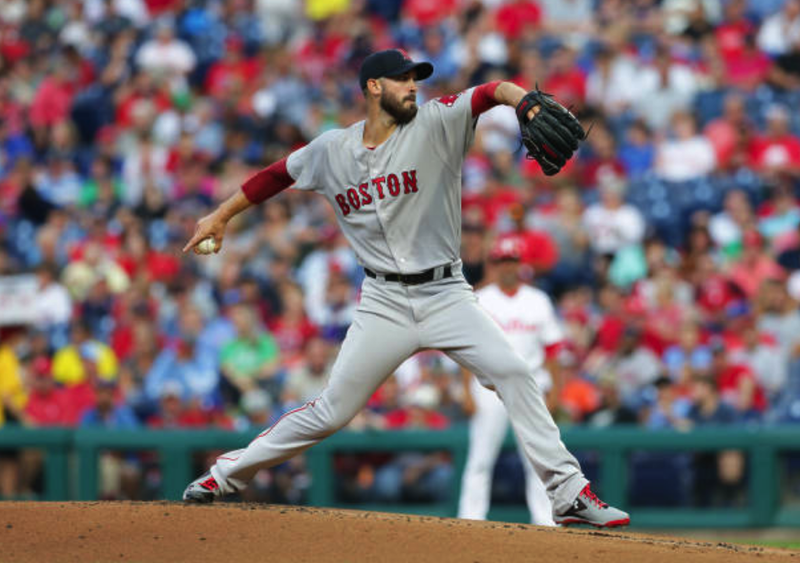 Rick Porcello was back on track last night, going seven solid innings and giving up just two hits, while striking out ten Phillies in a 2-1 win. The righty was pretty dominant throughout—except for a solo HR he gave up to Philadelphia's Rhys Hoskins. Boston's offense also consisted of two solo long-balls. Sandy "Babe" Leon went yard in the third inning to put the Red Sox on top 1-0. When manager Alex Cora made the very National League decision to lift Porcello for a pinch-hitter in the eighth, his instincts proved right. Brock Holt rocketed the first pitch he saw in the at-bat off the second-deck façade at Citizens Bank Park. After a surprisingly clean eighth inning turned in by Heath Hembree, closer Craig Kimbrel delivered another "cardiac save", stranding the tying run on second base (thanks to a pinpoint laser of a throw by Leon to end the game on a strike-out/put-out at first base). The win allowed Boston to maintain its ten game lead on The Pinstriped Posers in the AL East.